The gecko - The family of Geckonidae consists of over 950 species. The feet/toes of the gecko adhere to most surfaces carrying more than the body weight of these animals. The spatula-shaped lamellae at the animals' toes enable van der Waals' interactions between the beta-keratin of the skin and most surfaces, including polished glass. 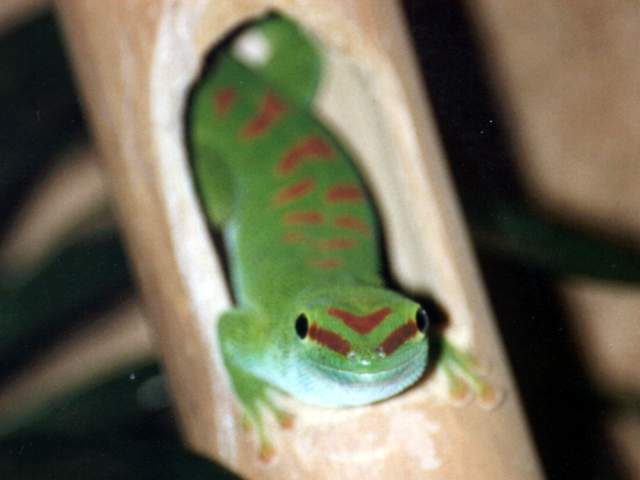 Thus, geckos use the weakest molecular forces to carry the highest possible load - their own body weight.